Combine all ingredients in a small saucepan, and cook over medium heat for about 8-10 minutes, or until apples are the desired texture. Chill the can of coconut milk for 6-12 hours, or overnight. Also chill a small bowl. When ready to make, open the can and drain off any liquid. In my case, the thick cream set on top with liquid underneath. 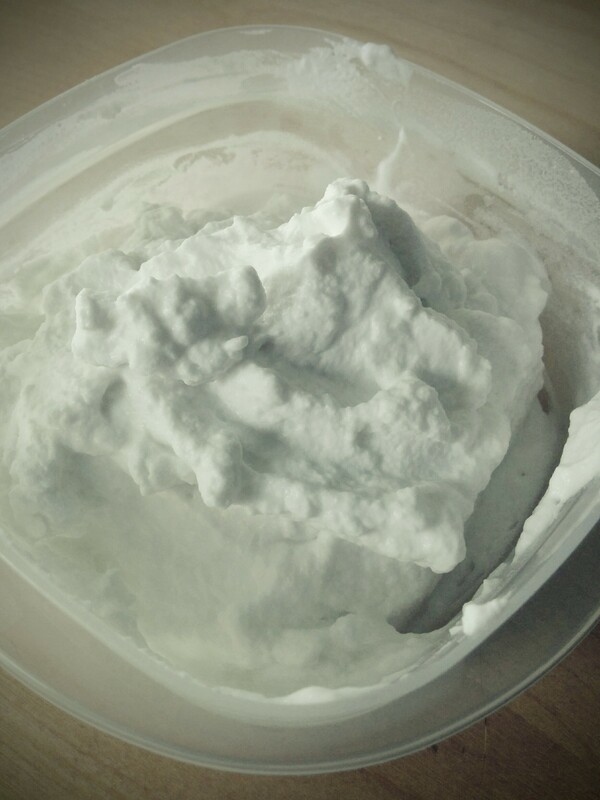 If you open the can and don’t see any liquid, try gently scooping the cream off the top. Add coconut cream to the chilled bowl, and beat until fluffy. This can take several minutes. In a medium bowl, combine dry ingredients. Mix well. Add almond milk and coconut oil and mix. Batter will be thick and smooth. It will not be the runny, easily poured batter that you’re used to seeing for waffles. You will likely have to spread the batter around in the waffle iron with a spatula. 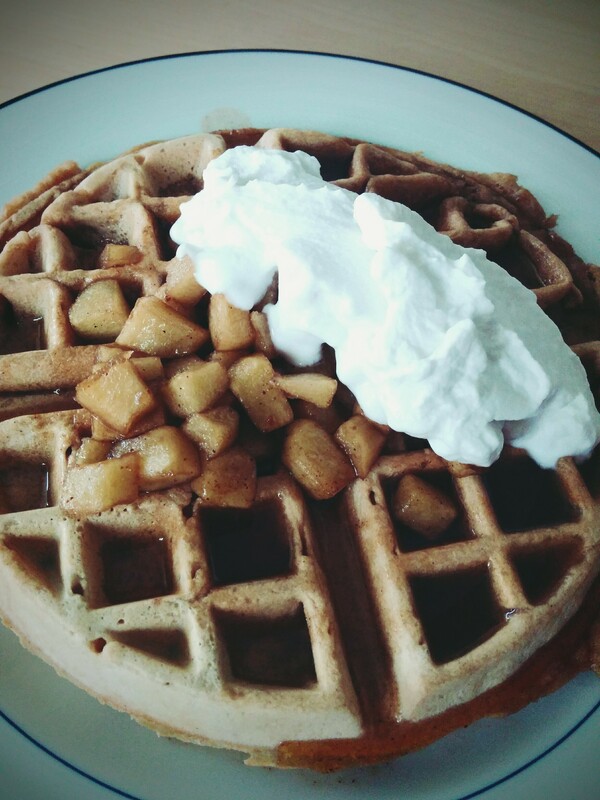 Top waffles with maple syrup, apple topping, and coconut cream. Enjoy! For a balance of sweet and savory, consider serving half a waffle with a simple tofu veggie scramble. Leftover apple topping and coconut cream can be stored in the refrigerator for about a week or so. Leftover waffles can be reheated in the oven for several minutes. For another delicious option, try using figs or berries in place of apples for topping. This recipe yields 1-2 waffles, depending on your waffle maker.